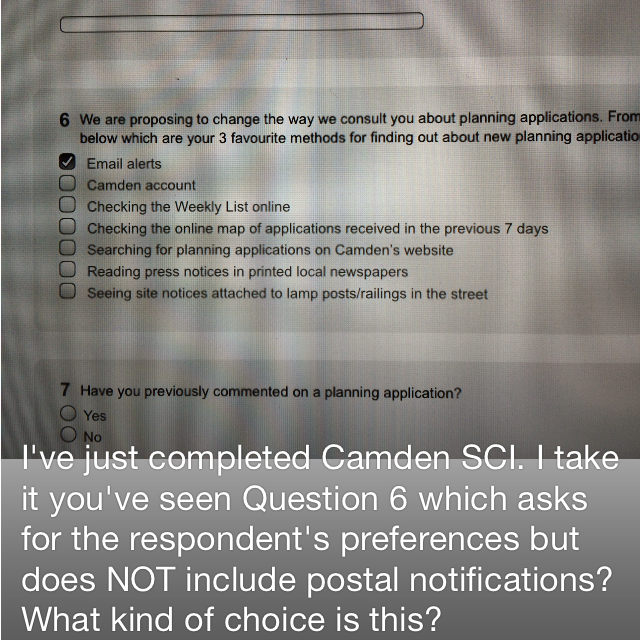 I’m outraged by the plans to scrap postal notifications of residents about nearby planning appliations. I’ve written about it before and spoke in Camden Council against it earlier this month. What I didn’t know was that my mum was so interested. She lives on Maresfield Gardens, by Finchley Road station, and isn’t involved in politics. But she has fought against an unwanted developments in the area herself – and with the support of the Netherhall Neighbourhood Assocciation, the ones that would have hurt her and her neighbours most have been halted. You have until 20th January to submit your response.